World of Warplanes, a new open beta flight combat MMO game by Wargaming, will be officially launched on November 12 and 13, 2013. The open beta can be accessed here: World of Warplanes open beta. What is World of Warplanes? 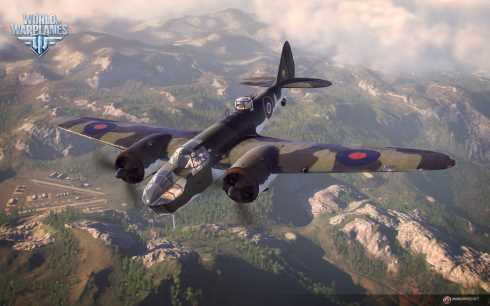 World of Warplanes allows players to experience the Golden Age of Aviation through its realistic and historic airplane designs. Players can pilot three different classes of planes: fast fighters, heavily armored planes, and ground-attack planes that are used to bomb military ground targets. The game is free to play. Action gameplay is geared towards 15-vs-15 PvP battles that test the players’s skills and teamwork. According to Wargaming, the developer that brought us the hit MMOFPS World of Tanks, at launch the game will have 100+ vehicles from different nations such as USA, Japan, Germany, the Soviet Union, and Great Britain. Warplanes feature modular customizable configurations so that weapons, engine and aircraft components can be mixed and matched. In other news, update 0.5.3 is due to be released in Sept. 26. This is a major update that will finalize tech trees and 10 new planes will be given to all players for them to test In addition, more mouse controls options will become available, new maps were introduced, the tutorial has been improved, the game client has been further optimized, and many other changes have been made based on the open beta testing feedback. Editor’s Note: We are aware that Nov 12 and 13 as a launch date sounds a bit strange but this is what Wargaming has announced as their launch date. We think they mean 12 on some regions and 13 in others, because of the time differences around the world.